Rebekah Young is a recent addition to the Susan J. Campbell Copywriting Solutions team, bringing a hands-on knowledge of social media tools – along with a hard work ethic, creativity and a great sense of humor. Rebekah grew up in between Smithville and Platte City, Mo., with her parents and two older brothers. At a young age, she thought for sure that yelling her opinion was the best possible way to communicate. Thankfully, as she got older, she learned that there were other more constructive ways to get her point across. Her love of communication and people never wavered, and she looked for a college that would provide her the best opportunity to learn the nitty-gritty about people and different styles to communicate with them. 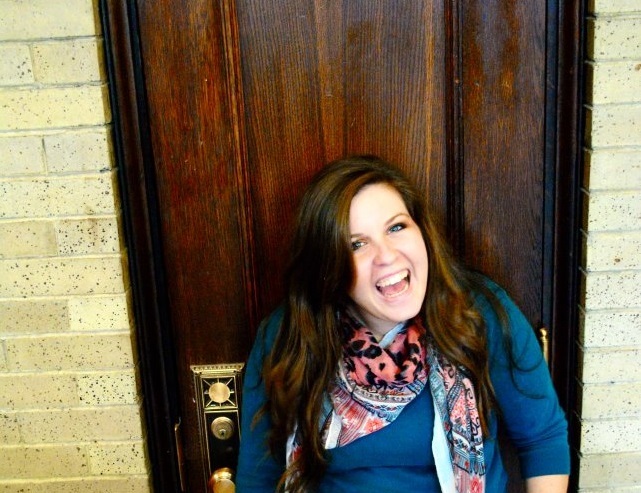 Rebekah found her second home in the small town of Bolivar, Mo., attending Southwest Baptist University. While there, she fell even more in love with communication – despite all the theories to memorize, papers to write and speeches to give. Gradually, she found her passion in social media and helping organizations really blossom using these amazing tools. She also earned a minor in counseling, which adds a deep level of insight to her daily interactions. “This unique combination of psychology and communication classes provided me with new perspectives on people, helping me fundamentally change the way I communicate with everyone,” says Rebekah. “This is very valuable as we try to help businesses find their voice across new communication channels.” Recently she has begun adding Instagram as a social media channel for clients, and is expanding into specific and targeted business uses for Pinterest. She continues to shine for her unique engagement ideas across Facebook and Twitter, while keeping up on new developments and ways to use social media channels. Her psychology knowledge is proving a strong asset in developing brand and marketing strategies for clients. Rebekah also enjoys witty office humor, sharing snippets she finds from social media with the team –which sometimes become a source of inspiration for another new strategy. Susan’s take on Rebekah: Finding individuals who want to work with our dynamic team is never a challenge; finding the right mix of creativity, a great work ethic and quality writing is always hard to accomplish. With Rebekah, we entered new territory by bringing on someone fresh out of the college scene and into an office of more “seasoned” individuals. While it’s often a source of fun teasing, Rebekah’s age brought a new element that we needed – someone who was raised on social media and could see it through different eyes. In just a few short months, Rebekah has introduced new ideas, taken over the management of our clients’ social media initiatives and promoted new ways of thinking when it comes to effective marketing communications. I’m excited to see how we diversify our client base and continue to grow with Rebekah on board. This entry was posted in Monday Morning Coffee, Social Media Marketing, Support Local and tagged brand, coffee talk, copywriting, copywriting solutions, engage customers, marketing strategy, Susan J. Campbell Copywriting Solutions, team. Bookmark the permalink.